John’s Note: Ronnie “Cuz” Strickland, Mossy Oak’s senior vice president of media services, probably has hunted turkeys as long and as hard as any man alive. 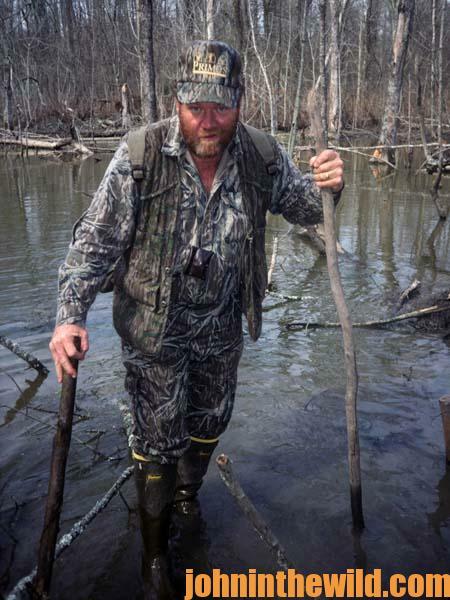 He hunts for his own enjoyment, but in the early days of Mossy Oak (www.mossyoak.com), he was a cameraman, field producer, guide and caller. One of Cuz’s greatest joys in life is calling up a turkey for someone else to take. Cuz has hunted turkeys all over the world and in most states. When Cuz talks turkey, we all listen. Some of the best turkey hunters I’ve ever been fortunate enough to hunt with aren’t boastful. They’re humble, and they love to learn about turkey hunting from other people. 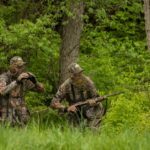 If you have the opportunity to hunt with turkey hunters you know are better than you, and if you see them use a call, a tactic or do something different than you do, then you need to take note of that. Half the time a turkey hunter like this may not even be carrying a gun. He may be a cameraman, a guide or a friend who has gone hunting with you to try and help you take a turkey. I’ve seen turkey hunters with the right attitudes lay on their stomachs and crawl through cow manure to peep over into a pasture and see if there’s a gobbler out there strutting. I’ve seen turkey hunters with the right attitudes who won’t stop when they come to a creek with knee-high or waist-high water. They’ll go across that creek and be soaking wet trying to get to a turkey. 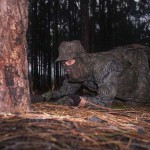 The turkey hunter who will stay with a gobbler that’s refusing to come in for 2 or 3 hours – he’s got the right attitude. Turkey hunters who have the right attitude aren’t as much about taking turkeys as they are about having encounters with turkeys. When I go turkey hunting, if I hear one turkey gobble, if I can get close enough to see him, I’m victorious, whether I get the shot or not. 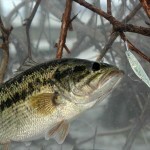 Turkey hunting isn’t always turkey shooting. Turkey hunting is trying to locate a turkey, trying to understand where the turkey’s going and why he’s going there, attempting to out-maneuver a turkey, trying to get close enough to see that longbeard, having an opportunity to talk to that turkey and fooling that bird, so he thinks you’re a turkey hen and wants to come in close enough to see you. 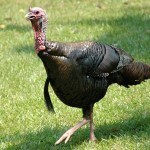 A turkey hunter with a right attitude will have a great turkey hunt every time he goes into the woods. If he harvests a gobbler, he’ll have a fantastic turkey hunt, and a memory that will last a lifetime. Your attitude, when you step out of the truck in that cool spring air and shut that truck door as quietly as possible, will have much more to do with your taking a turkey than your turkey calling ability will. When I put on my Mossy Oak camo before daylight to go turkey hunting, I’m also putting on my turkey-hunting attitude. 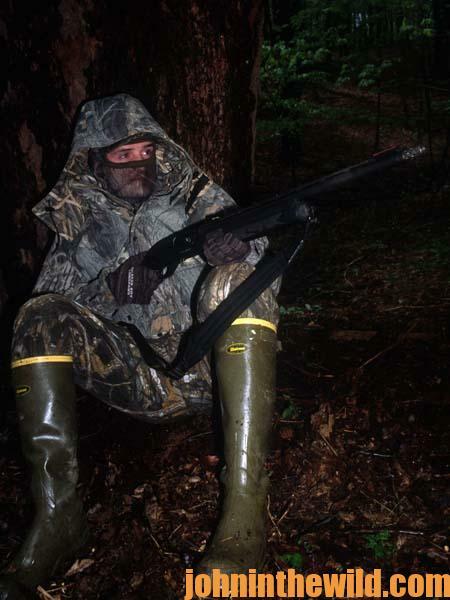 This attitude means whatever I have to do, however far I have to walk, however wet I have to get, no matter how tall a mountain is – well, I won’t stop until I can see a gobbler, if there’s a gobbler to be seen. To learn more about turkey hunting from the masters, get these Kindle eBooks by John E. Phillips, including: “The Turkey Hunter’s Bible (available as an eBook or in paperback),” “PhD Gobblers: How to Hunt the Smartest Turkeys in the World,” “Turkey Hunting Tactics,” “How to Hunt Turkeys with World Champion Preston Pittman,” “The 10 Sins of Turkey Hunting with Preston Pittman,” and “Outdoor Life’s Complete Turkey Hunting.” Click here to get these books.